A new figure from Konatsu...meet Chagara! We're not 100% sure what's going on here to be honest...but "chagara" seems to translate to "tea shell" in English, so it appears that this fierce little creature is rocking a ball-style tea strainer or maybe a tea pot as a shell. Cool! 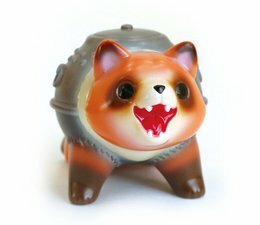 This is the Tanuki version, where our feisty new friend is painted to look like a Japanese raccoon dog. 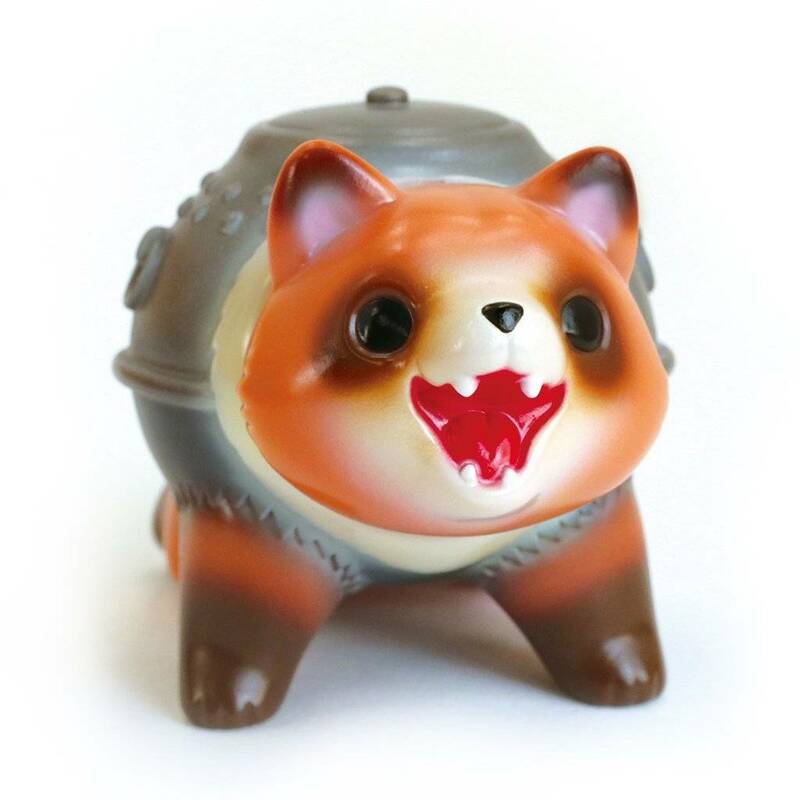 The Chagara (Tanuki) by Konatsu by Konatsu is a limited edition.